The programs of Florida Dance Theatre would not be possible without the gracious contributions of sponsors and grantors who understand the power of the arts. We are truly grateful for their support. Our founder George Jenkins was once asked what he thought he would be worth had he not given so much away. Humbly, he answered, "Probably nothing." As Florida’s state arts agency, the Florida Division of Cultural Affairs is proud to lead the Culture Builds Florida campaign. The Division promotes arts and culture as essential to quality of life for all Floridians. Arts and culture contribute to a vibrant and creative Florida. These diverse resources include arts in education, local arts agency, state service organization, theater, dance, folks arts, literature, media arts, museum, multidisciplinary, music, sponsor/presenter, and visual arts programs and projects. Aaron's is an industry leader in serving the moderate-income customer, offering affordable payment plans, quality merchandise and superior service. Aaron's has been responsible for many of the industry's most successful and innovative marketing, operational and manufacturing programs. Through the years, the Community Foundation of Tampa Bay and the Community Foundation of Greater Winter Haven served neighboring geographic areas and accomplished great things. 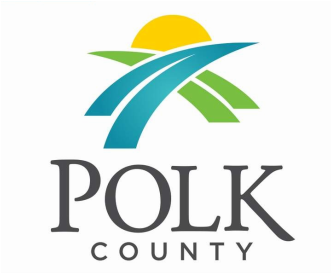 In 2013, the decision was made to combine their resources and form one community foundation that was capable of doing even greater work throughout the Polk County region. From this vision, the GiveWell Community Foundation was born and continues to be a reputable, efficient place to invest dollars that grow to do tremendous good. Planet Beach has taken the spa experience to a new place. Our spray & spa is a unique and innovative approach to the traditional spa. Members pay a monthly fee for unlimited fully-automated sunless spray & spa services in a private room without the need of an attendant. These services include four types of massages, two types of facials, hydration treatments, teeth whitening, guided meditation, oxygen therapy, weight management treatments, and sunless spray tans. Planet Beach also offers a wide range of sunless lotions, skincare, and nutrition products. Our spas provide members everything they need to achieve their total skincare, wellness, and stress relief goals. Fletcher Printing Company, Inc. provides offset printing services in Florida. The company prints labels, carbonless forms, envelopes, business cards, colors and finishes, brochures, and self inking stamps. It also prints letterheads, post cards, photo copies, checks, laminating items, promotional items, wedding invitations, graduation invitations, Christmas cards, and invoices; and provides copy services. The company was founded in 1958 and is based in Lakeland, Florida with a location in Winter Haven, Florida. Radiology and Imaging Specialists has provided imaging services for more than 45 years. Our imaging center began with three physicians and one small office. Since then it has grown to be the leading radiology provider in Central Florida. Currently, Radiology and Imaging Specialists has over 25 physicians and five imaging centers. We are proudly affiliated with Lakeland Regional Health, Winter Haven Hospital, Bartow Regional Medical Center, Bert Fish Medical Center, South Florida Baptist Hospital, Gessler Clinic and Bond Clinic. We're your comprehensive resource for all of your IT needs whether it’s computer networking and network management, copying, printing, scanning or faxing, or electronically routing and storing your documents. Locally owned and operated in Lakeland, FL since 1924, Boring's best product is the customer service we offer our customer. Service calls are always responded to within 1 hour and we are proud to boast that over 96% of the invoices we send out are accurate -- the first time.